Shows stocks that have reached near bottom and its ready for rebounce. 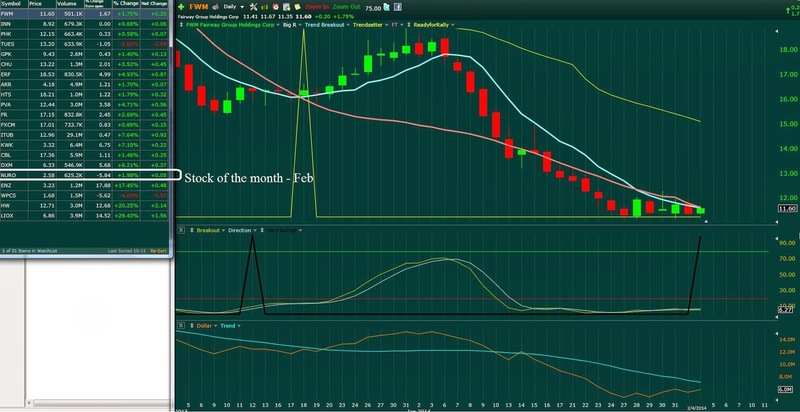 After Stock of the month :MYGN, our stock of the month for Feb is NURO. 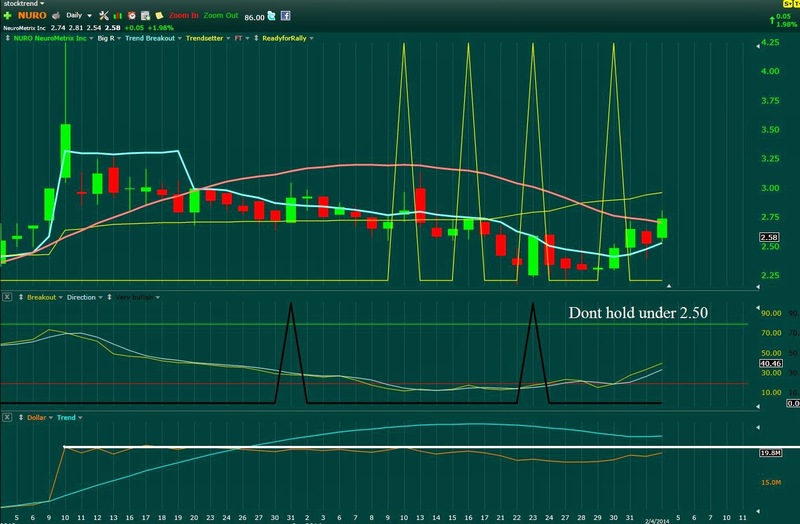 Join our premium services to learn more about our technique for day and swing trading.